Things are going well down here in Argentina. This week, I got a lot more things organized, and I feel a lot better. Still lots to do, but that's ok. I just have to learn to pace myself. Sometimes, I want to do what I did before the mission, and just pull an all-nighter, working like crazy until I finish everything, but one of the principles of the gospel is moderation in all things, and sometimes you just need to take it easy a little, and get out and work in the field, or study your scriptures, or talk with someone who needs a little boost. Mostly, it's about listening to the Spirit, and letting Him guide you in what is the most important thing to do in that moment. It was a pretty normal week, working the finances, getting organized, learning how to be more efficient, preaching the gospel, and having a good time. As far as my office job goes, I actually enjoy it quite a bit. It's really satisfying to work hard and accomplish things, to get all the numbers to balance, and to successfully archive reports, things like that. It's weird, because in and of itself, it doesn't sound that enjoyable, but it mostly comes from the joy of a job well done more than anything. Knowing that I am helping the Lord's work move forward, and doing my best to fulfill my assignment, makes me content. We had some cool things with investigators this week. This last Monday we a did a noche de hogar (FHE) with some members, and we brought a big family, all brothers and sisters. The oldest is 22 and is named Jhonatan, and the littlest was Bruno, who is 6. I think there were 8. It was kind of crazy, but it was super fun. It was me, Elder Llanos, Elder Tello, Elder Gonzalez (it was his last night, and he was going home the next day, so he accompanied us), and the hermanas from our ward, Hna Castillo (Chile) and Hna Tomalá (Ecuador). We did an activity we called Draw Your Testimony, and we all drew a picture of our testimony, and then explained it to everyone. The older investigators really liked it, and they felt the Spirit a lot. We visited them a couple more times this week, and really hope we can help them come to church tomorrow. 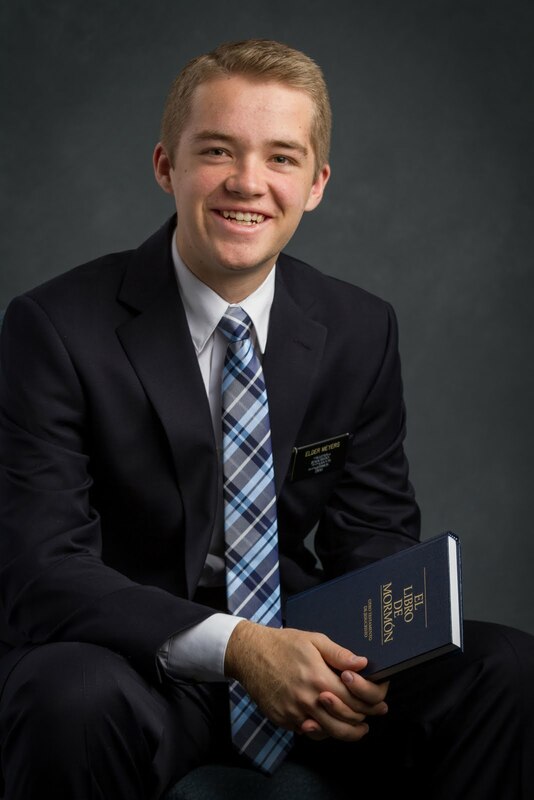 We usually have one or two investigators in church, but we can't seem to get a single investigator to come consistently, so our goal is to help someone get to church consistently, so they can start to progress a little more in their testimony, and really feel and see the changes that the gospel can help them make in their life. I am getting a much stronger testimony of the principle of work. Work is how we grow, and when we work, we are happy. It's a principle of the gospel, because we have to work for our salvation. God has given us so much, but we have to put in our part. We have to strive every day to do the right thing, and never grow weary. When we find joy in work, we live happy. This gospel is wonderful and true, and I love it with all of my heart. It is so much of who I am and who I want to be. I love you all! I wish you could see my face when I read your letters, and honestly can't stop smiling. Thank you! We ordered district T-shirts for Nogoya before I left, and I finally got mine!